Subject of History of Ukraine. Geographic position of Ukrainian lands. Main periods of Ukrainian history. History of Ukraine is presented in the course of humanitarian education of international students as a part of their understanding the historic development of the territory they are living at. Sources of Ukrainian history are within various sources found both in Ukraine and other countries, namely, manuscripts, books, archeological findings and other artifacts available for historians. The role of the subject can be considered in terms of understanding mentality and culture of Slavs and Ukrainians as well as broadening cross-cultural cooperation. Geographically Ukraine is situated in Eastern Europe. There are the Carpathian Mountains in the West of Ukraine and the Crimean Mountains in the South. There are plains (steppes) spreading over two thirds of Ukrainian territory. Woodlands are located on the North and on the North-West of Ukraine. The territory of present Ukraine is 600 thousand square kilometers. The longest distance from the West to the East of Ukraine is 1300 km. The longest distance from the North to the South of Ukraine is 900 km. Ukraine has the territory which is the second largest of the European countries, except for the European part of the Russian Federation. The population of Ukraine is nearly 46 million people. It is almost as much as the population of France. The largest river of Ukraine is the Dnieper. It flows into the Black Sea and divides Ukraine into two parts. The Western part of Ukraine is called Pravoberezhna (Right-Bank) Ukraine. It is situated on the right bank of the Dnieper. Livoberezhna (Left-Bank) Ukraine is situated on the left bank of the Dnieper. Ukraine has 25 administrative units called oblast’ (regions) in Ukraine: Kyiv, Kharkiv, Dnipropetrovs’k, Zaporizhzhia, Odesa, Donets’k, Poltava, Sumy, Lugans’k, Simferopol and others. Kyiv is the capital of Ukraine. Ukraine borders with Belarus to the North; to the North-East - with the Russian Federation, to the South along the Black Sea - with Turkey and Bulgaria, to the South-West - with Romania, Moldova, to the West - with Hungary, Slovakia and Poland. We will also look at the history of Ukrainians living in other countries all over the world. Many Ukrainians live in Russia, the USA, Canada, Kazakhstan, Moldova, Argentina, Brazil, Belarus and other countries. In total, more than 12 million Ukrainians live abroad. The main feature in the study of the Ukrainian History is like this: the territory of the settling of the Ukrainian people has been changing permanently during definite historical period. There were various political and state structures at its territory. The western territories of Ukraine existed independently from other Ukrainian territories for a long time. Regions in western Ukraine have their own history. First of them is Eastern Halychina. The historical centers are L’viv, Ternopil’ and Ivano-Frankivs’k. The second one is Northern Bukovyna. The historical center is the city of Chernivtsi. Third one is the Zacarpathian Ukraine (Transcarpathian Ukraine). The historical center of it is the city of Uzhgorod. This region is called the Zacarpathian Ukraine (Transcarpatian Ukraine) because it is situated on the West of the Ukrainian territory just beyond the Carpathian Mountains. In English this part of Ukraine may be called the Transcarpathian Ukraine. Fourth one is Volyn’. The historical centers of Volyn’ are the cities of Luts’k and Rivne. The terms of “Ukraine”, “Rus” and “Kyivan Rus” are commonly used in a political sense. 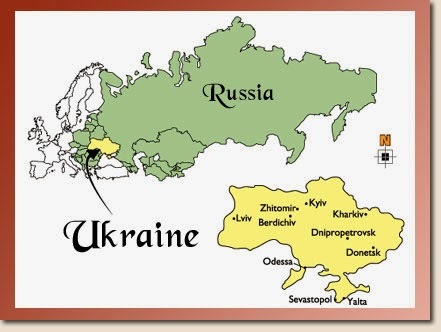 “Ukraine” is also a geographical term, which has denoted some different territories at different times of history. In general, “Ukraine” is used in our course in the broadest sense to denote both the state and its territory as they have existed during various periods. For the medieval period, “Rus” or “Kyivan Rus” are used for the state and territory as well as for the people. The term “Ruthenian” is also sometimes used to denote both the Ukrainian people and their culture and the Byelorussian people and their culture of the period of 16th - 17thcenturies. This term, which is simply a variant of Rus’, was frequently used concerning the Ukrainians of Galichyna up to the twentieth century, and the Ukrainians of Transcarpathia up to the present. Ukrainian history is subdivided into some periods: the most ancient period (from the fist primitive people of Paleolithic epoch – up to 9th century A.D.); period of Ukraine-Rus’ (9th- first half of 14th century); Lithuanian-Polish period (second half of 14th century- first half of 17th century); Ukrainian Cossack state. Ruin. Limitation of hetmans’ power (middle of 17th - 18th century); Ukrainian lands between two empires (Russian and Austrian-Hungarian) (late 18th century – early 20th century); period of revolutions and wars (early 20th century – mid.20th century); Soviet period of Ukrainian history (1917-1991); Independence (1991- up to nowadays). The first man on Ukrainian territory. The first man (archanthoripinae) appeared on Ukrainian territory about one million years ago during the Stone Age. Archanthropinae probably came from the western regions of Southern Asia and the Balkans. Soon to follow were Neanderthal men (about 135–150 thousand years ago) who were more mentally and physically developed and had family relations. Then about 35 thousand years ago, came Cro-Magnon, the first representative of Homo sapiens. During the Middle Stone Age the population increased considerably and people could not feed themselves by relying solely on hunting. Thus, they learned how to fish, gather berries and plants, and how to domesticate animals. During the Neolithic era, men learned how to cultivate land, rear cattle, and make pottery. The divergence in economic occupations of people in different regions of Ukraine became greatly appreciated during this time. More agricultural development, hunting and fishing and cultural and economic developments were on the rise at this time. Also during this time, a primitive communal system with a matriarchal social base was formed on Ukrainian terrain. Slavs. In the first millenium BC, Slavs played a leading role in the development of civilization of ethno-Ukrainian society. There were also other ethnic groups which had considerable influence on the ethnogenesis of Ukrainians, such as the Scithians, Balts, Germans and Kerlates. The territory of Slavs expanded considerably with the coming of a new era. In written sources, they are known as Anths and Sclavs. They shared a common Language, similar way of life, similar customs and beliefs. However, there were different tribes, each having its own chiefs, military and policy. After some time, although the Anths disappeared from the south European political map, their traditions have not. The descendants of Anths began populating in the vast areas. The intensive break-up of patriarchal traditions was observed in the 7th and 8th centuries in the development of East Slav society. Property inequality of the community intensified and determined the formation of the social hierarchy. These processes were especially active in the territory of the Middle Dnieper Area and adjacent lands. Archeological sources have discovered rather quick development of arable farming, cattle rearing, handicrafts, and trade. Soon political and economic centers of Slavic tribes appeared, such as Kyiv. About 14 East Slav tribe unions existed in Ukraine during the 6th-9th centuries. This lay the political groundwork for Rus’. In the late 9th century conditions appeared for forming early feudal states in the area of Slavonic settlement. Modern Kyiv, Chernigiv and Pereiaslav were the centers of its territory. Kyiv Rus’ and policy of its Princes. Breaking the unity of the Rus’ state. Volodymyr Monomakh and his policy. In the year 882, it was stated in old chronicles that Oleg, the Prince of Novhorod, having killed Prince Askold and Prince Dir, mounted the Kyiv throne. He became the ruler of Kyiv or old Rus’, the first state of Old Slavs, which soon turned into one of the greatest countries of Medieval Europe and which played an important part in political life on the continent. It also served as a certain protective barrier between European civilization and nomadic East. Kyiv became the capital of the state. The poly-ethnical Old Rus state was a monarchical form of government. When he proclaimed Kyiv to be the political center of Rus’, Prince Oleg (as well as his successors) were greatly concerned about the problem of consolidation of the nearest tribal principalities around Kyiv – the force of central state institutions being applied it its territory. All the East-Slav tribes and many non-Slav people were under dominion of the Kyiv Prince at the end of the 10th century. Kyiv Rus’ spread from the Black Sea to the White sea, from the Carpathians to the Volga River. The vastness of the territory determined the availability (within limits) of certain language and cultural peculiarities – a potentiality of centrifugal tendencies being inevitable. The Prince’s armed forces played the role of the state elite in Kyiv Rus’ until the early 11th century. Elder man at arms served as the Prince’s advisers in the most important state affairs and occupied all administrative and court posts. Under the reign of Yaroslav Mudryi (or Yaroslav the Wise) (1019–1054), they performed only military functions, while administrative and legislative staffs were subject to boyars (old tribal aristocrats by birth). Kyiv princes of the 9–10th centuries cared mainly about strengthening the economic and political power of the state. They fortified cities, put in order legal proceedings and a fiscal system, and regulated the obligations of the dependent population. During Princess Olga’s reign (approximately 946), the first attempt was made to expel paganism and replace it with Christianity. But Christianity wasn’t officially introduced as a state religion in Rus’ until 988 by Prince Volodymyr Sviatoslavych. Diplomatic relations of the Old rus’ State with the neighboring countries, in particular, Byzanthia and the German Empire, intensified during the mid-10th century after the fall of Khozar’s state. The malatary marches of Kyiv Princes played an important part in the territory of Kyiv Rus’ and assertions of its power in the eyes of surrounding people. ‘The Povist’ mynylykh lit’ mentions the victorious raid of Prince Oleg of Tsargorod in 907, owing to having made peace with the Byzantine Emperor. Some years later, the Russians made several raids on the lands of the Arabian caliphate. In the 940s, Prince Igor (Oleg’s successor), made several military raids to the Crimean east and Taman’, to Byzanthia and to the Caspian Seaside. Military activity of the Old Rus State was also observed in the 960s and early 970s during the reign of Prince Sviatoslav (964-972). The creation of the Old Rus’ nation state took place during the reign of Prince Sviatoslav’s son, Prince Volodymyr (978-1015). The economical and political strength of the state, the authority of the Prince’s rule, and the organization of law considerably increased during his reign. The successful military raids of the Prince expanded the limits of the Rus territory. The process of forming the Old Rus State finished in the beginning of the 11th century under Yaroslav Mudryi. That was the time of the greatest rise of Kyiv Rus’. The international authority of the country increased, due to the dynastic relations and diplomacy of the Prince. Yaroslav put forth much effort to subdue civil war (which occurred after the death of Volodymyr) and to protect the state territory from nomad raids. Under Yaroslav the importance of cities in economic and cultural life of the state increased, and relations between the different regions became revived, which helped to increase the trade, agriculture and handicraft industries. The first code of the Old Rus state was created – a collection of Laws, Rus’ka Pravda. Unfortunately, the Prince’s successors were involved in many feuds that inevitably resulted in breaking the unity of the Rus state. It wasn’t until the early 12th century that Volodymyr Monomakh (1113-1125) managed to stop these feuds for a while. It was under his reign that Kyiv’s authority as the capital was once again increased, and the authority of the Kyiv Prince expanded to the major principalities, and other princes. It was by his initiative that the convention of princes was called to decide important affairs and disputable issues. The internal and external position of the state was stabilized. This was the stage when all the characteristics of the medieval socio-political system with great feudal property, certain ideological religious and political directions had been established in Kyiv Rus’. From the 1130s the disintegration process of the Old Rus State attained an irreversible character. For several years, the territory of this newly powerful state was separated into several independent principalities whose owners did not stop military conflicts until the mid-13th century. The authority of the Kyiv Prince as the state head became quite formal but did not lead to the complete disintegration of the Old Rus state. Kyiv still remained its capital. The personal power of the Kyiv Prince was replaced by the government of collective suzerainty of the most influential and powerful Princes. A single centralized monarchy was changed into a federal monarchy, which no longer had the might nor size of its predecessor. The period of feudal disintegration on the Old Rus lands not only set a mark on their political, socio-economic and cultural development, but also introduced certain innovations to geographical definitions of the state. In particular, the Kyiv Cronicle of 1187 had first coined the term Ukraine to define the southern area of Rus lands (Kyiv, Pereiaslav and Chernihiv provinces) After some time, this name was also applied to Haluchyna, Volyn’ and Podillia. Despite several attempts to unite principalities separated by boundaries, which took place during the 12th and 13th centuries, Kyiv Rus’ of 1237 weakened economically and politically and suffered the forays of Mongol-Tatar Hordes of Batyi. The Horde reign in the lands of Ukraine continued for more than two centuries. After the disintegration of the Old Rus State in the 12th century into separate regional formations, the Halytsian-Volynian principality had undertaken the state-creating traditions of Rus’. In spite of the devastating wars, which had not passed through the principality, certain stabilization of economic and political development was observed in this area in the 12th century. The increase of population, economic potential, as well as the regulation of economic relations was visible in the Halytsian Subcarpathia and Volyn’ territories. In 1199, principalities with common economic and cultural conditions and political and economic relations, united and formed the Halytsian-Volynian state under the reign of Halytsian Prince Roman, a descendant of Volodymyr Monomakh. Prince Roman was the first in the history of the Old Rus state to be referred to as Grand Duke, Autocrat of the whole Rus’. The reinforcement of the Prince’s power in the Halytsian-Volynian state took place under constant hostility on the part of the powerful boyar opposition supported by foreign protectors: Hungarians and Poles. After the death of Roman Mstyslavych, the boyars succeeded in excommunicating his sons: Danylo and Vasyl’ko. In 1214, Kalman, a young Hungarian prince who married a Polish Princess, was proclaimed King of the Halytsian-Volynian prinsipality. From that time began a long war by Danylo Halyts’kyi and his brother Vasyl’ko to have their father’s throne returned to them. This war became known as the liberating war, for restoring state independence and territorialunity of the Halytsian-Volynian principality. Danylo Romanovych’s main task was to reinforce the state institutions of the principality and social support, which the boyars should have returned to him. Under these conditions, he allowed for the state-creating experience of Byzantia and a number of other west European countries. By the end of the 1230s, Danylo Halyts’kyi managed to secure the neighborly relations by marrying his son to the daughter of Bela IX, the Hungarian King. The Prince had rendered great services to his country in protecting boundaries of the Halytsian-Volynian Principality during the Mongol-Tatar invasion to Rus’. The fortification line he had constructed immediately before the invasion allowed decreasing the number of plundering raids as compared to other principalities. For 1254-1255, he succeeded in gaining a number of victories over the Horde armies and in driving them away – outside the boundaries of Ukraine. The internal and foreign policy of Danylo Halyts’kyi favored the increase of his popularity in the eyes of the world community. Courtiers of European countries considered it an honor to be associated with the Halytsian-Volynian Prince. In 1253, he was crowned by Pope Innokentyi IX in the Dorohychyn, in Pidliashia. This act confirmed the recognition of the Halytsian-Volynian principality as a subject of international law. Territorial possessions of the principality considerably increased in the 13th century, under the descendant of Danylo Romanovych. In particular, the lands of Liublin and a part of Transcarpathia were added to the principality. The Halytsian-Volynian Prince possessed the lands of Lithuania for a certain time. Notwithstanding, the partial economic and political dependence on the Golden Horde, the Principality leaders managed to keep to their own foreign policy. But the constant exhausting struggle with foreign and home enemies gradually weakened the Halytsian-Volynian principality, of which its enemies took advantage without delay. At the end of the 14th century, the lands of the recently strong state proved to be divided between Poland, Lithuania, Hungary and Moldavia. The military-political movement of Lithuania and Poland to Ukrainian lands. Ukrainian lands as a part of Great Lithuanian Principality. The military-political movement of Lithuania and Poland to Ukrainian lands began in the 1330s and 1340s, when the Lithuanian Grand Duke Liubard conquered Volun’. The assignment of the lands of the Halytsian-Volynian principality between two foreign states was completed by the Lithuanian-Polish War of 1351-1352, after which Halychyna proved to be under the power of the Polish King (later the west Volynian lands: Kholmian and Belzian, came under the Polish crown). The Podillia, Kuiv, Siver and Pereiaslav provinces also became parts of Lithuania under Liubard’s successor: A Grand Duke Olgerd. The local population did not resist Lithuanian expansion to Ukrainian lands. It can be explained that Vilno did not try to break traditional socio-political institutions and the economic system which existed at that time. The state did not want to meddle in the spiritual life of Ukrainian lands. And what is more, it intensively assimilated Ukrainian cultural and religious influences. In 1458, even separate Kyiv metropolia was formed, which was an additional impetus to the development of centrifugal tendencies in Ukrainian lands. The accessibility of Orthodox Kyiv to Western and Greek-Byzantine influences permitted the most important achievements of European civilization to be assimilated and adapted on the local ground. Forced to resist the onset of German Knights and Golden Horde Khans, as well as the home opposition, the Lithuanian and Polish governments created an international union, validated by the dynastic marriage. The Union conditions foresaw the incorporation of the Great Lithuanian Principality to Polish Kingdom. At the same time, they took measure to politically centralize Lithuania. In particular, Volunian, Novhorod-Siverian, Podilian and Kyiv appanage principalities stopped to be independent. Now, they were subject to the vicars of the Grand Duke of Lithuania. In the future, notwithstanding certain successes, Ukrainian appanage princes did not manage to restore their past positions. For all that, the political and cultural influence of the local princes and boyars in the state was too considerable. In particular, Ukrainian language was the official language of Lithuania. Traditional norms and bodies of self-administration were in force in the country. Vilno also had to reckon with the interests of the Ukrainian reigning elite when performing its home and foreign policy. All of that determined the relative internal stability of the Lithuanian-Russian state. However, soon the Lithuanian-Catholic element began dominating within the state. Naturally, this called for certain resistance on the part of the home aristocracy. A whole number of revolts took place in the terrain of Ukrainian lands in the late 15th to early 16th centuries. Princes I.Olshanskyi, M.Olel’kovych, F.Biliskyi (1481), and M.Glyns’kyi (1508) took part in these rebellions. The first written mention of Cossacks. Cossacks’ revolts at the end of 16th– first half of 17th century. The first written mention of Cossacks appeared in the late 15th century. The appearance of Cossacks played an outstanding part in the historical fate of Ukraine. Cossacks represented a social standing of free people who defended their land and guarded its boundaries against Turkey-Tatar aggression. In the middle of the 16th century the Cossacks created their own military-political organization: Zaporizhian Sich. It had the original military-administrative system based on the principles of Cossack democracy. The cossacks founded specific political institution such as: institutions of military councils, the Zaporizhian Army Kish as the higher executive-legislative organs, and their own legal proceedings. The Cossacks were a rather strong and numerous organization. K.Kosyns’kyi and S.Nalyvaiko led the Cossacks in the first great revolts. They took fortresses, liberated towns and villages, and their law became firmly established in the Kyiv, Volyn’ and Bratslav provinces. Among other great Cossack leaders were Taras Fedorovych, Pavlo But, Yakiv Ostrainyn, Dmytro Hunia. In 1633 the Polish government, influenced by the revolts, legalized the existence of the Orthodox Church (of which Petro Mohyla was the Metropolitan), and in 1638 the Warsaw courts abolished the Cossacks’ privileges which were previously conquered. Among these Cossack privileges were a legislation of their own, the appointment of officers by election, and the limitation of register. The defeats of the Cossack rebellions of the 16th to early 17th century made the grave position of Ukrainians worse. Cossack leaders, as well as thousands of rebellious Cossacks and peasants, were annihilated and lands were redistributed. The gold tranquillity which prevailed in the early part of the 17th century proved the tranquillity only for polish magnates and squires who had not obtained lessons from the events of the late 16th and early 17th centuries. Gradual accumulation of force before the decisive conflict with the powerful state machine of Rich Pospolyta took place in Ukrainian society. Causes of the liberating war. Main aims of this war. Pereiaslav Rada January 8, 1654. The Liberating war in the mid-17th century had become an event of great significance that fundamentally changed the further development of Ukrainian history. Its most important result was the formation of the independent Ukrainian state. The war began in February 1648 from the conquering of the Sich by rebels and election of Bohdan Khmelnyts’kyi (1595-1657), the Chyhyryn sotnyk, as Hetman of the Zaporizhian Army. News about the events in Zaporizhia quickly spread across Ukrainian Land, and drew the broadest circle of the population into the rebellion. The success of the rebels was insured by the activity of the newly elected Hetman oriented to the rebellion expansion to the districts, winning over to his side of the register Cossacks, formation of the national army, avoiding the premature military actions with the Polish Army. Two processes had been distinctly crystallized at the beginning of the Liberating War: state formation and a complete change in the principal model of socio-economic relations. The triumphal attack of the Cossack Army in the spring and summer of 1648 – as well as the liberation from the reign of Polish squires of the vast territories of Ukraine (battles under Korsun and Zhovti Vody) and the defeat of Poles under Pyliavtsi and a raid of the Cossack Army to the vicinities of Lviv and Zamostia – had determined the essential change in Hetman’s political plans. The idea of Cossack autonomy within the limits of the Kingdom of Poland was inferior to that of the necessity of complete defeat of Rich Pospolyta and creation of the own state whose foundations had been laid by the end of 1648 in most perts of Ukrainian territory. Thus, during June-November 1648, the process of forming national state institutions was mainly completed in the central, southern and eastern regions, while in the western regions they were in the intensive process of formation the old administrative territory was replaced with a new regiment-sotnia the Cossacks’ court and judicial procedure was introduced the National Army was formed serious changes were observed in the social structure of the population. The Cossacks played a leading part in ruining the polish state, and in the formation of Ukrainian state institutions. The close links between national liberation and social struggle at the very beginning of the war was a characteristic feature of that time. It was a social struggle that played an exceptionally important part in the formation of the new socio-economic system of the Ukrainian state. Hundreds of detachments of the peasants and townsmen ruined the estates of squires, destroyed shliakhta, leaders, village magistrates and Catholic churchmen. The Cossack ideal became a generator of the activities for masses of peasants. Their conscience imagined the Cossack to be a man free from any obligations (except for military) before a squire and a state. That is why the struggle for obtaining the Cossack immunity (personal freedom, the right to possess land, to be under their jurisdiction) became the all-Ukrainian phenomenon during this time. The social struggle resulted in the peasants’ war which for the first time in the history of Ukraine embraced the greatest part of its territory and proved to be an especially important factor in the development of national revolution. Peasants refused to perform numerous duties in favor of their landlords (statute labor in particular). The Liberating War opened a possibility of transfer of peasants and townsmen to the status of Cossacks who had a lot of rights and privileges at that time. At the same time, the Cossack officers also consolidated their positions during the years of war. They also took the road of material enrichment and wanted to secure the ownership of land and acquire production enterprises. The lessons of the first war allowed Bohdan Khmelnyts’kyi to make certain corrections in his political program early in 1649. Henceforth, his first rate task was to unify all ethno-Ukrainian lands in the limits of the national state. A new program also provided for the recognition of social gains of the people masses, and consolidation of the Hetman's power. The period 1649 to 1652 was characterized by the active efforts of the young state to firmly establish itself in the world arena. The Hetman’s government made a military-political union with the Crimean Khanate, carried on active negotiations with Moscow and Warsaw, and established diplomatic relations with Porta, Moldavia and Transylvania. Extremely unfavorable geopolitical situations interfered with Khmelnytskyi’s plans. In order to avoid the Union of Crimean Khan Islam Hirey with the King of Poland, Yan Kazymir, the Hetman had to make the Zboriv agreement in August 1649. The latter, though recognizing the existence of the Cossack states, limited its territory by Bratslav, Kyiv and the Chernihiv provinces. At the same time, it abolished a number of social gains of the Ukrainian people. In response, the Cossacks and peasants took up arms once again. Mass actions in a number of regions took place for much of 1650. The threat of civil war was avoided because of Khmelnytskyi’s social policy. The ruling circles of Rich Pospolyta tended to decide the Ukrainian problem by the methods of war. In February 1651, the Polish Army passed to the offensive. A new military campaign was started which nearly turned into a catastrophe because of the insidious Crimean Khan under the town of Berestechko. This agreement was signed in September 1651 in Bila Tserkva. The terms of this agreement greatly limited autonomy, which evoked mass discontent among the Ukrainian people. Patriotic enthusiasm embraced Ukraine. Khmelnytskyi mobilized the army and won a great victory in the battle near the settlement of Batih against the Polish Army on May 23, 1652. Nearly the entire Ukrainian territory was liberated from Polish oppression. However, the development of this victory was not successful. The anti-Ukraine coalition, which included Rich Pospolyta, Moldavia, Valakhia and Transylvania, was created in the summer of 1653. The Crimea-Porta relation grew worse. Under these conditions, the relations with Moscow assumed a peculiar place in the Hetman’s political plans. In the opinion of the Ukrainian ruler, the orientation to the Moscow state could provide for irreversibility of the changes that had occurred at that time in Ukraine: the liberation from Polish power, the functioning of Ukraine as an independent state, and the reunification in the future of all Ukrainian lands under the Hetman’s hist mace. After long-term negotiations, Ukraine consented to embrace the protectorate of Moscow. On October 1, 1653, a corresponding resolution was passed by the Zemstvo Council, the highest representative body of the Moscow State. On January 8, 1654, the decision on the Zaporizhian Army subjection to the Moscow Tsar was made by the participants of the Pereiaslav Rada. This agreement provided for the preservation of the political system that existed in Ukraine, the army, the in-force model of socio-economic relations, and rights for making an independent home policy. Partial control was established only over its foreign-political activities and taxation policy. The agreement of 1654 ratified the creation of a confederation – a military union. However, being a part of monarchic Moscow, the Ukrainian state was deprived of prospects for its development. After 1654, a new stage in the course of the Liberating War began. The aim of the Ukrainian state to destroy Rich Pospolyta and to reunite all ethno-Ukrainian lands within the Cossack territory was invariable. As a result of miscalculations by the Moscow government in evaluating the military-political situation, the military campaign from the autumn of 1654 to winter of 1655 resulted in an awful ravage of the Bratslav province. Hetman Khmelnytskyi began searching for allies among other countries. He succeeded in improving relations with the Crimea and Turkey, modified relations with Transylvania, and created an important alliance with Sweden. At about the same time, Moscow, intimidated by the success of the Swedish Army, signed the Vilno truce agreement with Rich Pospolyta in August 1656, and began military actions against Karl X. When he had come to know about Moscow’s change in the foreign-political course, the Hetman Khmelnytskyi understood its balefullness for realization of the program of reuniting Ukrainian lands and began looking for the ways to create an anti-Poland coalition with Sweden and Transylvania. He set his special hopes on the success of the Ukrainian-Transylvanian raid on Poland which, unfortunately, had a tragic end for the troops of Gyorgy II Rakoczi. The failed raid meant a crash in the plans of Ukrainian sovereign to win the victory in the struggle with Rich Pospolyta in coalition with Sweden and Transylvania. The internal situation in Ukraine also became worse. The Hetman’s influence on the settlement of state affairs weakened due to poor health. The growth of social strength became notiable, the will of Cossack officers increased and some groups were fighting for power. During this time, the tsar’s government activated the measures on the limitation of autonomous rights of Ukraine. During the most critical period of this time, Hetman Bohdan Khmelnytskyi died on July 27, 1657. Socio-political situation after Khmelnytskyi’s death. Ivan Vyhovskyi and his policy. The complete territory distribution of Ukraine between the Moscow state and Rich Pospolyta. The Hetman’s State in Ukraine that Khmelnytskyi created had great potential for independence. However, these potentials were not realized for many reasons. It wasn’t until the late 17th century that the domestic problems that tore Ukrainian society apart became more defined as a result of a policy of tsarism. The brutal struggle between some hetmans and claimants of the Hetmate broke out immediately after Khmelnytskyi’s death. The country was drawn into the vortex of civil war, political crisis and economic displacement for many years. The intricate socio-political situation required that existing problems be resolved quickly. However, political mistakes, outweighed means in the social sphere made the available contradictions in the society too sharp. New Hetman I.Vyhovskyi (? – 1664) pursued a course for the creation of an oligarchic republic and gradually lost the support of the greatest part of Cossacks. Zaporizhia, and a number of regiments in Left-Bank Ukraine who neglected the Hetman’s aspirations, proved to be in opposition to him. The Tsar’s government, interested in weakening the Cossack State, also made its contribution to increasing civil disquiet. Governments of other neighboring states were also in a hurry to take advantage of this situation. During the civil war, which began in Ukraine in the spring of 1658, its leader (first in the states history) was the first to look for support from the foreign force (not defend the state independence, but to fight with the domestic opposition and the rising people). He created the Tatar Horde in order to smash the rising regiment and Cossacks headed by M.Pushkar and Y.Barabash, and decided to renew the union with Rich Pospolyta. The Hadiach agreement of September 16, 1658, provided for the return of Cossack Ukraine under the Polish crown as autonomy. The agreement’s conditions changed the then political system of the Hetman’s power. In the socio-economic aspect of things, they renewed the pre-war forms of land ownership. Changes in the course of foreign policy as well as cruel measures of people in the left Bank Ukraine area increased the discontent of Cossacks, with I. Vyhovskyi reining, and created a precedent of a split of the state. This created the elite which was dangerous to the territorial unity of the state. A tendency of the Left Bank officers to be oriented with Moscow, and the Right Bank officers to be oriented with Warsaw was manifested and became more profound at this time. Newly elected Hetman Yurii (about 1641–1685), a son of Bohdan Khmelnytskyi, could not prevent the increase of the troubling symptoms. The Chudnivsk agreement, which he made during the military campaign of 1660, practically recognized the validity of the Hadiach agreement. In 1663, deprived of real political support, Yurii Khmelnytskyi abdicated. The Hetman’s mace in Left bank Ukraine, owing to the support of the Tatars, came to the hands of General Secretary (Pysar) P.Teterya. Near the city of Nizhyn in 1663, the Chorna Rada, as it is called in Left Bank Ukraine, elected the Cossacks’ Ukraine into two Hetmanates. The complete territory distribution of Ukraine between two states was confirmed by the Andrusiv truce of 1667 between the Moscow State and Rich Pospolyta. The left bank and Kyiv with surrounding territory stayed with Moscow the Right Bank remained under Poland, and Zaporizhia was subject to both states. Some time later, the territory dismemberment was confirmed by the clauses of the so called Eternal peace of 1686. The signing of the Andrusiv agreement made the reunion of Ukrainian lands much more problematic. But notwithstanding, the deep socio-political contradictions between the state elite oriented to different foreign forces and continual interference of the latter to the domestic life of Ukraine, both its regions were bound into a single state organism by political and economic factors. The prospects of the territory consolidation of the Left and Right Banks became most visible in the period of the reign of P.Doroshenko (1627-1698), a colonel from Pryluky. Being one of Khmelnytskyi's fellow warriors, the Left Bank Hetman belonged to the convinced supporters of the existence of a single powerful Ukrainian state. To achieve this aim, he began fighting with Poles, made an agreement with the Tatars, negotiated with representatives of the Moscow Tsar and Left Bank Hetman I. Briukhovetskkyi. He succeeded in uniting both of the territories under his mace for a short time. But the interference of Russia and Rich Pospolyta which extended a campaign against the Hetman made this victory an unstable one. The Cossacks’ Ukraine proved to be drawn into a new vortex of political struggle and internecine wars. At the beginning of July 1668, P. Doroshenko had to leave left Bank Ukraine, and in March 1669, at the Cossacks’ council in Hlukhiv they elected a Chernihiv colonel who was supported by Moscow, D.Mnohohrishnyi (? – 1696), to be Hetman of Left Bank Ukraine. The agreement he had with the Moscow government essentially limited the sovereignty of the Ukrainian state. Under the new conditions, P. Doroshenko, supported by the Korsun Counsil in March 1669, became inclined to accept the Turkey protectorate. At the same time, he did not think it impossible to come to an understanding with Moscow or Rich Pospolyta, but on the condition that their governments would recognize the sovereignty rights of the single Cossacks’ Ukraine. Doroshenko’s political career ended in 1676. At the general Council in Pereiaslav, General Judge I.Samoilovych was elected a Hetman of Cossacks’ Ukraine on both sides of the Dnieper. He succeeded in holding the Hetman’s mace for fifteen years. An autocrat and loyal to his officers and to the Tsar, he was also oriented to the creation of the aristocratic state with strong Hetman’s power. He resisted the attempts of the Zaporizhia chiefs to affirm their political independence, often expressed his discontent with the Moscow government, as they had renounced the right for Left Bank Ukraine in favor of Poland. He always tried to draw the attention of Moscow and Rich Pospolyta to the fact that the Right-Bank Ukraine and West Ukrainian Lands with the Left Bank Ukraine can be a single state body. Late in the 17th century, one could observe considerable changes in the social sphere of life in Cossack Ukraine. The Hetmanate was a multi-class social organism. The population mainly consisted of peasants who had conquered their personal freedom with weapons, and for some period, they owned their own land. However, due to historical conditions, all the actions of the Hetman’s administration (both economic and socio-political) were subject to interests of the Cossack upper layers, who were the privileged class in society at that time. They obtained the right to possess land, to occupy themselves in production activity, to take part in political life of the state. Ukrainian membership in the Moscow state also influenced its economic development. In particular, certain changes took place in the Hetmanate foreign trade and economic relations. The country painfully lost its traditional western trade routes and sales markets. They were gradually reoriented to Moscow. The institutions of the Ukrainian state system, formed in the years of the Liberation War, still functioned in the second half of the 17th century within the borders of the Hetmanate. However, the Russian government began the limitation and later liquidation of the traditional military-political system of Ukraine. The offensive of Moscow also touched the Ukrainian Orthodox Church, which from 1686 was subject to the Moscow patriarchy. The decades after 1654 gave the impetus to gradual but inflexible processes when the Ukrainian state lost its ethnic features – the whole socio-political institution being liquidated. 1. Ivan Mazepa and his policy. 2. Liquidation of the Zaporizhian Sich. The beginning of the 18th century was marked by the complication of the domestic and foreign political situation in Left Bank Ukraine. The Northern war between Russia and Sweden for the Baltic Sea coast, resulted in the increase of economic pressure on the part of the Tsar's government on Ukrainian manufacturers, the attraction of its human resources to participate in the military actions and fortification and construction. The taxation burden was put not only on the ordinary Cossacks and peasants, but it also reached the social elite. Ivan Mazepa (1644-1709), who was elected Hetman in 1687, acted on the opportunity of the Sweden invasion in Ukraine to take a risky step. Together with his confederates and four thousand Cossacks he united with the army of Karl XII in October 1708. An agreement was soon made between Ukraine and Sweden which provided for complete independence of Ukraine from “all foreign possession”. Unfortunately, the general Ukrainian public, which had not been sufficiently informed about the Hetman’s intentions, did not support his plans to stir up a rebellion against Peter I. In particular, peasants and common Cossacks feared to find their way to the yoke of Polish shliakhta. In addition, they did not want a renewal of rules which had existed on the entire Ukrainian territory since 1648. The mass repression on the part of the Tsar’s troops pounced on those suspected of having relations with Mazepa. Hundreds of Cossacks and officers were persecuted – some of them were imprisoned, some annihilated. Ivan Mazepa was declared a traitor, and his name was anathematized. By the Tzar command, the officers elected I.Skoropadskyi (1646-1722) as the new Hetman. After the defeat of the Swedish Army near Poltava in June 1709 and the capitulation of Karl XII and his allies, the offensive of tsarism against autonomy of the Hetmanate was executed much more quickly. The highest state posts in the Hetman’s administration were given to people devoted to Peter I. First, Russian landlords appeared in Ukraine (as they were the closest fellow warriors of the Russian emperor), and then middle gentry appeared. In 1709, the Zaporizhian Sich was destroyed. Thousands of Cossacks left for Turkey in search of refuge. The government of Peter I subsequently annihilated all the traces of the Ukrainian state system, undermined the welfare of the Ukrainian people, and ruined the economic potential of Ukraine. During the elections of I.Skoropadskyi (1708), Peter I refused to sign traditional agreement articles between Russia and Ukraine. The new Hetman was practically deprived of the right to make independent decisions. The next step in limiting the rights of autonomy of Ukraine was the creation of the First Little Russia Collegium (1722), which became the chief managerial authority of the Hetmanate. The measures with regard to the successive liquidation of the local Cossack self-ruling were also taken in Slobodian Ukraine. Such a policy of Peter I could not help but result in the resistance of the national elite, where the idea of Ukrainian independence was still alive. It was manifested mostly in the Constitution by P.Orlyk, in which the preliminary experience of Ukrainian state existence had been generalized and the future ways of its development outlined. In the mid 1720s, P.Polubotok (about 1660-1724), who was appointed Hetman, rose for the defense of the national state system of Ukraine. But his Plans were not supported by the demoralized society – torn by social conflict. Under the successors of Peter I, the relative consciousness in relations of the Russian monarchy with Ukraine altered with the strengthening of incorporation tendencies. The Little Russia Collegium was abolished under Peter I. In 1727, Ukrainians received permission to elect a new Hetman. D. Apostol (1654-1734), a colonel from Myrhorod, was chosen as the new Hetman. During his hetmanship, he succeeded in realizing certain reforms, perfected the judicial system, secured the return of Cossacks to the Hetmanate, and founded the "New Sich". But all the activities of the Hetman were under the control of tsarist residents. He was deprived of the right to act in foreign policy and was subject to Russian General field marshal. Economic and legal prerogatives of the Hetman's power were also essentially limited. Tsarism began interfering with the affairs of Ukraine. The wave of protests to restore the hetmanship in Ukraine was expanded among other Cossack officers. In 1750, K. Rozumovskyi (1728-1803) was elected as the last Hetman of Ukraine. In his domestic policy, he reorganized the Cossack army, performed court reforms, and gathered the meetings of Cossack officers. He also tried to pursue independent foreign policy, favored the transfer of Ukrainian problems from the jurisdiction of Senate to the Collegium of Foreign Affairs, and applied for the liberation of Ukrainians from participation in military actions outside of Ukrainian territory. Catherine II had ordered to liquidate Slobodian's Cossack army. The Slobodian Ukrainian province was organized there - which was later included in the Kharkiv viceroyalty. A Manifesto of August 3, 1775 proclaimed the liquidation of the Zaporizhian Sich. The socio-political system of Hetman Ukraine also underwent fundamental changes. In the early 1780s, its territory was divided into regions ruled by governor-generals. At the same time, the traditional court system was abolished. The force of the "Nobility Charter" was expanded to the Left Bank of Ukraine in 1785. General-imperial ruling authorities, standards, and customs were soon established. In essence, all of the organs and institutions of the Ukrainian state system were demolished. By the end of the century, Ukraine had lost not only its political independence, but also its economic independence as a result of the economic policy of the Russian monarchy. The political and economic dependence on the Russian state was strengthened, and the Hetmanate lost the originality of its system. Serfdom was secured by law in Left Bank and Slobodian Ukraine in 1783. This process was much quicker in South Ukraine, which was densely populated in the late 18th century. By 1796, the Russian government executed the existence of serfdom there. Ukraine in the last part of the 17th century. Situation in Eastern Halychyna, Transcarpathia and Nothern Bukovyna. The violation of the territorial integrity of Ukraine in the last part of the 17th century considerably determined certain peculiarities in social, political and economic development for the following decades of its two great regions: Left Bank Ukraine and Slobozhanshchyna, and West Ukrainian lands. Almost until the end of the 13th century, the Left Bank region was part of Rich Pospolyta. The winnings from the Liberation War of the mid 17th century were gradually abolished and the prewar regime was renewed. But certain elements of State-creating traditions still remained the important fact of social-political life in the land. In the early 18th century, there were Cossacks’ regiments in the Right Bank Dnieper area. Large villages with quickly developing activities were distributed in the area. Unfortunately, the international situation was not favorable for the Right Bank Cossacks. Poland soon established its power in the entire Right Bank territory. The same was the situation in Eastern Halychyna. Royal authorities acted within its boundaries. Polish lords owned great land estates that included hundreds of towns and villages. Only cities (Kamyanets’-Podils’kyi and Lviv) had a right of self-government. The Union was still introduced in West Ukrainian regions. In the early 18th century it was adapted by Lviv and Luts’k bishops as well as by other church hierarchies. As to other Ukrainian lands: Transcarpathia was still part of Hungary and Nothern Bukovyna was under the reign of the Moldavian principality, the vassal of Turkey. Foreign ethnic political institutions and right standards were in force there. Considerable changes occurred in the political condition of the Western Ukrainian lands in the late 18th century. The Downfall and division of Rich Pospolyta marked the territory-state belonging to Halychyna, Transcarpathia and Nothern Bukovyna. As a result of the first Poland downfall(1771), almost all of the western part of Volyn’ and Podillia were conquered by Austria. Those lands were unified with a part of Polish provinces into the Kingdom of Halychyna and Lodomeria. The other territories were gained by Austria after the third downfall of Poland (1795). Northern Bukovyna was also occupied by Austria. In 1774, the Vienna troops occupied the whole territory of the land (in 1775 these gains of Austria were affirmed by the Constantinople convention). Transcarpathia, which preserved traditional division into comitates, remained under the reign of the Hapsburgh monarchy. For the last part of the 18th century, Austrian Emperor Josef II and Maria Theresia realized a number of reforms in the land. They limited the power of landlords over peasants, canceled the peasants’ personal dependence on landlords, liquidated certain duties. The government also made reforms in the spiritual sphere (e.g., they opened a lyceum in Mukacheve and seminary in Lviv). At the same time, schools with education in Ukrainian were organized. A number of Ukrainian departments were founded in Lviv University, which opened in 1784. Unfortunately, these progressive actions of Austrian government were ceased in the future. The liberating struggle never stopped in the lands of Right Bank Ukraine. A great peasants’ rebellion burst out in 1702-1704. The rebels crushed the Polish Army in the Kyiv province, Podillia and Volyn’. The Right Bank rebels had the help of Cossacks from Zaporizhia and Left Bank Ukraine, and people from Moldavia, Bielorussia, and Valakhia. This people’s rebellion was suppressed. However, the so-called movement of Haidamaks rose in the region. Small, yet extremely mobile squadrons of Haidamaks attacked the landlords’ estates, merchants’ caravans, separate tenants, etc. The Haidamak movement continued until the mid 1770s. The great people’s liberation revolt began in Right Bank Ukraine in 1768 and was known as Koliivshchyna. The rebels conquered the fortress of Uman’ as well as a number of other towns and settlements. Cossacks’ regiments were introduced in certain provinces. However, some month later Poland, with the help of the Russian Army, succeeded to defeat the main Cossack regiments. In the second half of the 18th century, Rich Pospolyta went through a period of decline. As a result of the downfall of Rich Pospolyta, the territory of the Right Bank belonged to Russia. Two years later, the lands of Volyn’ and Bielorussia also became a part of Russia. General imperial orders: separation into vice-regencies (later provinces), Russian court system, action of nobility charter, etc. were introduced into these regions. However, the issue of reuniting all the Ukrainian lands was not yet completely resolved. They became parts of the Russian and Austrian empires. There were decades of political disconnection, statelessness, and the national persecution of Ukrainians in the future. Eastern Ukraine under the Russian ruling. The liberation traditions of Ukrainians. The revolutionary events of 1848-1849 in the West Ukrainian lands. Eastern Ukraine, occupied by the Russian monarchy, included the lands of the Left Bank, Slobodian, Right Bank Ukraine, and the region of the South. During the 19th century, Eastern Ukraine was subject to general imperial laws of social-political and economic development. The validity of Russian law, the administrative-territorial system, and executive personnel expanded on this territory. The absolute power in all nine provinces (into which Eastern Ukraine was divided at the beginning of the 19th century) was delegated by a special edict from hand to hand of governor general who performed administrative and supervisory functions. Tsarism pursued a course of Russification of the Ukrainian population of Eastern Ukraine. As a result of such a policy by the Russian government, the number of Ukrainians in this area decreased to 80% by the end of the century. In particular, the national element in the structure of urban population did not exceed the one third of the general number of people. As a result of intensification of industrial production in these recently agricultural lands, one could see the strengthening of the class of workers as well as the growth of the national bourgeoisie. The liberation traditions of Ukrainians began their renaissance in the early 19th century. It first began in circles of national intellectuals - Ukrainian writers in particular. The activities of the Kharkiv romantics - Ukrainian subjects in works by M. Hohol - were of great significance for preserving the spirits of cossacks' victories. In the future, their cause was continued by Ivan Franko, Lesya Ukrainka, P.Hrabovskyi, and Taras Shevchenko. The Ukrainian national cultural renaissance was favored by the opening of the Kharkiv (1805) and Kyiv (1834) Universities by the founding of a popular paper, "Ukrainskyi vesnik" (1816-1863), the scientific literary journal, "Osnova" (1861-1863), and the first historical paper in Ukraine, "Kyivskaya starina" (1882-1906). Scientific activity of well-known Ukrainian historians was directed at maintaining wide circles of public and historical memory about old traditions of the national-liberation struggle of Ukrainian people for state independence and social justice. From the first decades of the 19th century, the Ukrainian national culture movement was closely connected with the political one. A lot of Ukrainians were the acting members of general Russian Masonic organizations, which proclaimed the creation of "judicious society" of the people with equal rights - the target of their activities. They took part in secret officers' societies, oriented against the Russian monarchy. The population on the Left Bank region supported the liberation revolt of the Polish landlords of 1830-1831. Ethnic Ukrainians, together with the Poles, stood up for the freedom of Poland during the rebellion of 1863-1864. The activities of the Brotherhood of St. Cyril and Methodius were the important point on the path of consolidation of the national liberation movement. That was a non-legal political organization created in Kyiv in 1846 by representatives of the Ukrainian national intelligentsia. Taras Shevchenko also spread the national liberation ideas in his poetic works. The attainment of state independence of Ukraine and the establishing of it as an equal member of the confederation of independent Slavic countries, with Kyiv as the political center, was the goal of the Brotherhood activities. The demand for liquidation of the monarchical system of the Russian Empire and the abolition of serfdom were the closest political requirements of the Brotherhood members. The practical activity was concentrated on education and search of the way to raise the economic development of Ukraine. Russian tsarism savagely punished the Brotherhood members. Having been spread in national consciousness, these ideas were developed in the social movement of the late 19th century. Members of these often illegal organizations were united by the calls of Ukrainism, the devotion to their people and pride in their history. The social workers were mainly busy in cultural and educational work. They organized schools, issues textbooks and popularized folklore. The liberation and social ideas were also spread among the working class in Ukraine. The strengthening of national social pressure and economic exploitation on the part of the Russian monarchy met the firm resistance of peasants and town dwellers. Their refusal to work and armed uprisings became the most spread form of social protest in the 19th century. They demanded personal freedom, land and liberty. The social struggle developed with new force in the late 19th century. In the mid-1850s, the peasants' movement embraced 422 villages of the Kyiv, Katerynoslav and Kherson provinces. Peasants' rebels were maintained by the students from the Kharkiv and Kyiv Universities. Agrarian reform of 1861, which abolished serfdom in Ukraine, simultaneously limited the peasants' land ownership. The former serfs answered to the next wave of revolts. A new stage of the liberation movement in Ukraine was connected with the activities of Russian populists (narodniks). Their circles and organizations worked in Kyiv, Odesa, Chernihiv and other cities. The ideas of freedom and equality were spread by narodniks mainly among peasants. After 1885, narodniks lost their leading part in the liberation movement. It was intercepted by the social democratic intelligentsia, which made a lot of efforts to bring their political calls to the consciousness of workers. The first political organizations (i.e., Marxist circles) appeared in the 1880s and 1890s. The 20th century was marked by the considerable aggravation of the revolutionary struggle. First, Ukrainian political parties (the Revolutionary Ukrainian Party, Ukrainian Socio-democratic Workers' Party, the Society of Ukrainian Progressionists) were under its influence. Their leaders were D. Antonovych, O. Lototskyi, V. Vynnychenko, S. Petliura, S. Yefremov and others. Some of these individuals became prominent figures of the future Ukrainian revolution. Notwithstanding the Draconian laws of Tsarism of 1863 and 1876 with regard to the Ukrainian language, the development of Ukrainian culture rose to a new level. It became an important factor of national renaissance. The creative work of M. Hrushevskyi, (e.g., the multi-volume "History of Ukraine-Rus"), works by B. Hrinchenko, A. Krymskyi, and M. Arkas were noticeable literary landmarks. Pressing social and national problems were addressed in the works of many poets. The state of Ukrainians in the lands subject to the Austro-Hungarian Empire in the 19th century was not less complicated than of those in the territory of Eastern Ukraine. The population of Eastern Halychyna, Northern Bukovyna and Transcarpathia (mainly peasants) suffered from economic and social oppression, as well as from national restraints. The expansion of the force of centralized authorities to these territories provided for the stabilization of economic relations between them, and created conditions for their gradual evolution. By the mid-19th century, the Austro-Hungarian government, influenced by the revolutionary situation in Europe in 1848, began reforms directed at improving agrarian relations in the country. In particular, they liquidated juridical dependence of peasants on the landlords - the plots of lands were allotted to them. This created conditions for the successive transformation of the peasantry in active political force. In April 1848, Austria acquired the status of constitutional monarchy. But the declared democratic liberties and national equality of people often remained on paper. Constitutional-parliamentary management was restored only in the 1860s. The adoption of the December 1867 constitution guaranteed (at least formally) the equality of nationalities and languages. Separate regions of the empire (e.g., Halychyna) received the right of limited authority. The measures taken by the Austrian government favored the intensification of economic life in West Ukrainian lands, and their incorporation into the world system of trade relations. The agrarian reform of 1848 opened the path for complete reorganization of the agricultural branch in the land. As a result of splitting up the peasants' farms, by the end of the 19th century, a market of hired manpower that favored the increase of profit in agricultural production was created. Further development of the enterprise industry was observed in the West Ukrainian lands. In the 19th century, there were certain changes in the socio-political life of the region. The activation of the enlighteners' ideas and the furthering of the ideology of romanticism, which was caused by the rise of the liberation movement on the European continent, favored the intense processes of national renaissance. The first cultural-educational circles appeared in Peremyshl and Lviv. Interests in the history of the land, language and folklore considerably increased at this time. However, the decisive part in the development of the national movement at that time belonged to the socio-cultural association "Rus’ka triitsia". The motives of the liberation of the region were seen on the pages of publicists' articles, almanacs, and school textbooks. The revolutionary events of 1848-1849 had broad resonance in the West Ukrainian lands. The first Ukrainian political organization, the Chief Rus Council, appeared in Lviv in 1848. Its program documents were filled with ideas of autonomy, democracy, and reformation in different spheres of political and intellectual life of the region. Revolutionary events enlivened the Ukrainian national liberation movement in Northern Bukovyna (a rebellion headed by Lukian Kobylytsia) and in Transcarpathia (O. Dukhnovych and A. Dobrianskyi). The national movement was not stopped after the revolution suppressed. Representatives of younger generations of intelligentsia founded youth organizations: communities in Lviv, Berezhany, Peremyshl, Sambir, Ternopil, Stanislav. The whole pleiad of outstanding political figures of Ukraine came from the milieu of these young people (e.g., Ivan Franko, Mykola Pavlyk, Ostap Terletskyi). Such political parties as the Rus-Ukrainian radical party, the Ukrainian Socio-Democratic Party, the Ukrainian National Democratic Party among others, appeared in the region late in the 19th century. The Greek-Catholic church, headed by Metropolitan Andrii Sheptytskyi, became an influential force. The development of the national liberation movement in the Western Ukrainian lands was not isolated, but was in close relations with analogous processes in Eastern Ukraine. There occurred the intense exchange of opinions and ideas, of literature and periodicals. The people of Ukrainian territory, separated by boundaries, thought of themselves as one nation. Influence of February revolution (1917) on Ukrainian liberation movement. Tsentralna Rada and its policy. Universals of Tsentralna Rada. “Ukrainian State” of Pavlo Scoropadskyi. Bolshevik power and Soviet Ukraine. On February 23, 1917, the revolution broke out in Petrohrad (the empire capital St. Petersburg was renamed during the Russian-German war of 1914). Tens of thousands of soldiers from the local garnisson joined workers on the third day of conflict. Two authorities appeared in the evening of February 27, which played an essential part in the following events: Petrohrad council of Workers' and Soldiers' Deputies and the Provisional Committee of the State Duma (Parliament). On March 2, Tsar Mykola II abdicated and the Duma Committee, in agreement with the Petrohrad Council constituted the executive organ of new power: the Provisional Government. It had to prepare democratic elections to Constituent Assembly which had to determine the form of the state system and to adopt Constitution. Representative authorities in provinces came to civil organizations where representatives of trade-industrial circles and administrative bureaucracy occupied leading positions. As to their party belonging, almost all of them were constitutional democrats (cadets). A Council of United Public Organizations appeared on March 4 in Kyiv. The commissars of the Provisional Government were given the executive power, which had earlier belonged to tsarist governors and district police officers. Heads of province and district land administrations became such commissars. Elected committees began functioning in volosts instead of the officers. The society of Ukrainian Progressionists (organized by M.Hrushevskyi, S. Yefremov, and E. Chykalenko in 1908 as the inter-party political block), having left the underground, used the recommendation of the Provisional Government to create the councils of united public organizations in provinces to form the All-Ukrainian Council. The Ukrainian Tsentralna Rada (Central Council) also appeared in Kyiv on March 4 - simultaneously with the Council of United Public Organizations. This representative democratic body (UTR) appeared on the wave of revolutionary events to head the national-liberation movement in all Ukrainian provinces. It included the representatives of the Society of Ukrainian Progressionists, Orthodox clergymen, progressive Ukrainian social democrats, and heads of cooperative culture-educational, military, students' and scientific organizations, societies and communities. Mykhailo Hrushevskyi, the recognized leader of the Ukrainian liberation movement, was still in exile when elected as Head of the Tsentralna Rada. The Organization of the Workers' Council began in Ukrainian industrial centers and that of soldiers' councils in harnisons and in the front immediately after overthrowing the monarchy. The workers' councils were established in Kharkiv, Kyiv, Katerynoslav and Kremenchuk. The councils were non-party organizations which had no historical analogues. Their first appearance during the revolution of 1905-1907, and again in 1917 was evidence of the workers' distrust of any state institution. The call for expropriation of the tools of production was most popular in these councils. By the middle of 1917, 252 councils had been created in 9 Ukrainian provinces - including 180 in Donbas. Socialist parties of the socialist-revolutionaries (SRs) and social democrats (the Menshevik part), who influenced the workers' and soldiers' councils during the first months of the revolution, wanted to create the democratic parliamentary republic. They had no intention of proclaiming the councils under their control or for the state organs to take the political power. This is why they supported the legitimate Provisional Government. The Bolsheviks' division of social democrats (after their chief V. Lenin came back from emigration in April 1917) added this motto to their armory: "All power to the Soviets". So, the Bolshviks stood in the way of democratic orientation of the revolutionary process. The acquisition of control over the councils (Soviets) and the announcement of the Soviet Republic meant the establishment of a political dictatorship of the Bolshevik party. The slogan of nationalization of the production tools proved to be equivalent to establishing their economic dictatorship. The number of Bolsheviks in Ukrainian provinces grew quickly from 2 thousand before the revolution, to 10 thousand by the end in April 1917. Even as the minority in the councils, they began organizing the army for the civil war they foresaw. They organized workers' squadrons, militsia, and the red-guards detachments. The resistance of councils under the control of Mensheviks and SRs and the counteractions of the local authorities of Provisional Government, hindered this work to a certain extent. However, the Red Guards' detachments were created in Kyiv, Kharkiv, Katerynoslav, and Odesa. Meanwhile, the national revolution developed. In the first announcements of the Tsentralna Rada, the national program was mainly a cultural trend. M. Hrushevskyi, who had returned from exile, put the slogan of constitution of national territorial autonomy of Ukraine. The head of UTR called for the Ukrainians to not embrace the lands with the overwhelming Ukrainian population. These were 9 provinces (the Soviet Ukraine was later created on their territory) as well as Kuban, the northern and two southern regions of the Bessarabian prince, Kholmsk province, western districts of the Don Army region, and the southern regions of the Voronezh province. The intense creation of political parties took place in Ukraine during the first two months of the revolution. A party of socialists-federalists had been formed on the basis of the Society of Ukrainian Progressionists. This party had great influence with the Tsentralna Rada, though it had not become the numerous one. The Ukrainian Party of Socialist Revolutionaries had also been organized and became the most massive one among the national parties. By the middle of 1917, it accounted for about 75 thousand members. But the number of members of the all-Russian party of SRs was incomparably greater in Ukrainian provinces. The Party of Ukrainian Social Democrats, headed by V. Vynnychenko and S. Petliura, also essentially yielded in quantity in relations to the all-Russian party of Mensheviks. By the middle of 1917, it included about 5 thousand members, while the number of Mensheviks in Ukraine exceeded 50 thousand people. The First Universal of Tsentralna Rada was announced on June 10, 1917 in Kyiv at the congress of delegates of Ukrainianized regiments of the Tsarist Army. It proclaimed that Ukrainian people had the right to manage their life through the Ukrainian Constituent Assembly called on democratic ground. Some days later, the executive organ of power, the General Secretariat headed by V. Vynnychenko was created at the closed meeting of the Rada. The Provisional Government had to recognize the Tsentralna Rada as a state organ. After such a success, the Rada approved the Universal II, where it informed about the creation of the General Secretariat and the development of the law on Ukrainian autonomy. The intensification of social economic crisis continued deteriorating the material conditions of proletarized masses. Under these conditions, the extremists’ slogans of Lenin’s branch of the All-Russian Party of Social Democrats proved more and more popular. The number of Bolsheviks in Ukraine reached 33 thousand people. As to its massiveness, Lenin’s party essentially yielded to mensheviks as well as to Russian and Ukrainian SRs, but it was distinguished by its discipline and offensiveness. From the second half of the year, the Bolsheviks and their supporters began to prevail in the Soviets of the workers’ and soldiers’ deputies. On September 8, the Kyiv Soviet workers’ deputies first accepted the Bolsheviks’ revolution. Threatened by the left extremism, the party of cadets began inclining to the settlement of national crisis before using force. With the consent of its leaders, the ruling clique of the army generals, headed by General L. Kornilov, a Supreme Commander in Chief, made an effort to overthrow the Provisional Government. But the plot was not discovered. The Bolsheviks played the main part in its discovery. Their influence essentially increased, especially in the southern and eastern provinces of Ukraine, while the Provisional Government, saved by them, gradually lost the support of people because of setting aside the immature reforms. On October 25, 1917, Bolsheviks overthrew the Provisional Government and at the Second All-Russian Congress of Soviets in Petrohrad, they created their own Government - the Soviet of People’s Commissars (Sovnarcom), headed by V. Lenin. The October over throw created a new political situation, to which the Tsentralna Rada had to react immediately. It issued its Universal III, where it proclaimed the creation of the Ukrainian Republic (UPR). Impressed by the offensive of the Russian troops controlled by Sovnarcom, the Tsentralna Rada leaders quickly lost illusions of Russia’s transformation into a democratic federal republic. The formal separation from Bolsheviks’ dictatorship became a main task. On the night of January 12, 1918 M. Hrushevskyi issued the Universal IV of the Tsentralna Rada, which proclaimed the independence of the UPR. On January 27, 1918, the first peace treaty of the world war was signed between the UPR and four states of the German block in Brest-Lytovsk. A day before the signing of the agreement, the Soviet Army entered Kyiv and the Tsentralna Rada had to recognize that it needed immediate military help. On February 18, German and Austro-Hungarian troops began to occupy Ukraine. According to the Peace Treaty, concluded on March, 3 between Russia and the Central States, the Sovnarcom committed to recognize independence of the UPR and started peace negotiations. The presence of the occupational army removed the revolutionary situation in Ukraine. Activity of those social classes which required to respect the private property and to liquidate chaos and anarchism increased. The former tsarist General P. Skoropadskyi used these moods and came to power, being proclaimed the Hetman of the “Ukrainian State”, which replaced the UPR. Complete power was in his hands before calling in the parliament. P. Skoropadskyi invited to his government authoritative figures who strove to work constructively. However, occupants permitted his activities only in the national-cultural sphere. Interested in removing maximum amounts of food and raw materials from Ukraine, the military administration of the central states continually meddled in the affairs of the state authorities. Peasants began the war with occupants who supported the return of landlords to their estates. The Hetman’s regime could survive only under the occupation. On November 12, 1918 a truce was concluded between Germany and Entente countries, which meant the end of the World War. German and Austro-Hungarian armies lost their occupation functions. The next day there was a secret meeting of the heads of Ukrainian parties who decided to organize the Directory to guide the overthrow of the Hetman’s regime and to restore the UPR. The Directory was headed by V. Vynnychenko and its armed forces were subject to S. Petliura. They mainly consisted of thousands of battle-hardened rebels. Some weeks later, the Directory took control of entire Ukraine. The appearance of the Directory was unexpected for the neighbors of Ukraine. The Entente planned to fill the power vacuum in Ukraine by bringing in 12-15 of its divisions with the occupation of Kyiv and Kharkiv. In November, the armed forces of S. Petliura were opposed by the troops of Y. Pilsudskyi, who wanted to draw as far eastward as possible the undetermined boundary of the renewed Polish state. Red armies of L. Trotskyi were about to invade Ukraine from the north and east and the White Guard of A. Denikin from the south. The defeat in the World War I lead to the disintegration of the Austrian-Hungarian empire and creation of independent states by its people. On October 18, 1918, the Ukrainian National Rada was constituted in Lviv. It proclaimed the intention to create a state on the ethno-Ukrainian lands within the empire. The reviving Poland also raised the claims for those lands. Therefore, the National Rada hastened to occupy Lviv and the whole territory of Western Halychyna with its armed forces. On November 13, they formed the West Ukrainian People’s Republic (WUPR). The head of the National Rada, E. Petrushevych became the president of the WUPR, and K. Levytskyi headed the State Secretariat. The reunion of both Ukrainian states was announced on January 22, 1919 in Kyiv. The reunion declaration was to be approved by the Constituent Assembly called from the territory of all Ukraine. But it had not come to actual reunion. In 1919, the Polish troops, armed by the Entente, occupied Eastern Halychyna and Western Volyn. Much earlier, at the beginning of January, Soviet Russia began the invasion of the UPR and occupied its capital on February 5. The Directory first stayed in Vinnytsia, then in Zhmerynka, Proskuriv and Rivne. Early in May, S. Petliura and other figures of the UPR emigrated. The elections of the workers’ council, the Red Army soldiers and peasants deputies were held in spring 1919. As a result of the manipulations with representation norms, the Bolsheviks gained a complete advantage. The Soviets only served as a cover for the dictatorship of the RCP(b)-CP(b)U which was supported by the army and Extraordinary Commission. In accordance with the Ukrainian SSR constitution, which had the constitution of Soviet Russia as a model, the All-Ukrainian Congress of Soviets became the higher legislative body and All-Ukrainian Central executive committee (AUCEC) performed its functions between congresses. It was noted in the government declaration that the Ukrainian SSR was united with the RRFSR on principles of “Socialist Federation”. The essence of federations was not deciphered, but the RCP(b) program (adopted in March 1919) indicated that the Federate Union of Soviet of Soviet states is a form of transition to complete unity. The Bolshevik party wished to centralize the military and economic management in short terms. On June 1, 1919, the all-Russian Central Executive Committee (ARCEC), proclaimed the decree about the “military-political union”. Administration of the most important branches of the state of soviet republics was concentrated in the Moscow boards. As soon as Ukraine became a soviet republic, it entered the sphere of the action of the great experiment. The market economy was to be changed for commodity-free production. Peasants hoped that the soviet power would give them land estates of landlords as it had been promised in mottoes, which Bolsheviks used when going to the October overthrow. However, the decree of ARCEC adopted in February 1919, proclaimed collectivization as the current task of the village. In conformity with the decree, Kh. Rakovksyi’s government gave preference to state farms and communes created on the basis of expropriated estates. The powerful tide of the peasants resistance rose in response to the policy which Lenin later called “military communism” (when it failed and they refused from it). Ataman Zelenyi (D. Terpylo), member of the party of social democrats (independent) was the first to oppose the government in the middle of March. He did his best to spread the actions of his nearly twelve thousand member army to the left bank of the Dnieper, to Pereiaslav and Zolotonosha. The detachments of Nestor Makhno (who was named a “father”, or bat’ko, by elected village atamans) operated in the Katerynoslav province, in the region of Huliaipole. Makhno fought well against Denikin’s army he conventionally supported the soviet power, definitely opposing the anarchism of commissars and agrarian policy of Rakovksyi. The revolt of ataman M. Hryhoriev in May 1919 was the greatest. Anti-Bolshevist rises of peasants deeply influenced the sprits of the Red Army, which mainly consisted of peasants, and provoked the mass desertion and general discipline relaxation. A. Denikin, a commander of the White Guards Voluntary army, took advantage of the occasion. From May to August 1919, the White Guards occupied Ukraine and started their march to Moscow. Having placed the economy under the command of the state, Russian Bolsheviks could create the army that greatly surpassed the number of Denikin’s armed forces. At the beginning of February 1920, the Red Army liberated the entire Ukraine. When the defeat of Denikin was inevitable, the government of Soviet Russia turned its attention to Poland. Some propositions concerning peaceful settlement of the problem with boundaries were made to the government of Poland. Moscow supposedly consented to recognize the line of real demarcation of military forces that were formed in the summer of 1919 to be the state boundary. At the same time, beginning from 1920, V. Lenin began to draw up to the west front the most efficient detachments of the Red Army from everywhere, including the Urals, Siberia and Caucasus. On the eve of the inevitable war with Soviet Russia, Y. Pilsudskyi, the head of the Polish state, considered it expedient to regulate relations with his former enemy, S. Petliura. Wishing to continue the war for an independent UPR, Petliura accepted his conditions. The Warsaw agreement was made in April 1920. The Pilsuskyi’s government refused from the intentions to expand Poland to the limits of Rich Pospolyta of 1772 and recognized the UPR. This concession was of symbolic value. However, Petliura had to make real concessions when given consent to the state boundary along the line already occupied by Pilsudskyi’s troops. Pilsudskyi did not wait for the end of relocation of Soviet troops, and on April 25, 1920, began the offensive along the 500 km front using the forces of three armies which accounted for about 150 thousand people. Fifteen thousand of Petliura’s soldiers advanced together with the Poles. On May 6, they occupied Kyiv. V. Lenin placidly met the first success of Poles because the objective correlation of forces was in favor of Russia. The counter-offensive of soviet troops that started on June 5 soon turned into the broad offensive headed by M. Tukhachevskyi. Moscow had formed a marionette-like government of F. Dzerzhynskyi, whom they planned to make the head of conquered Poland. The threat of losing the state rights conquered in 1918 closely united the broadest ranges of population around the government. Immediate help with arms and ammunition was given by France. Troops of M. Tukhachevskyi were stopped within 23 km of Warsaw and began to retreat in confusion under the destructive Polish attack. In ten days, they were already over the Buh. At the end of September, the front was in the region of Zhytomyr and Berdychiv. The truce that was finalized in October fixed the consent of the Soviet party to remain Western Ukraine and Western Bielorussia within the boundaries of Poland. After the withdrawal of Y. Pilsudskyi’s troops to the Zbruch River, the S. Petliura’s army fought in Left Bank Ukraine for about one month with the forces of O. Yegorov. On November 18, 1920 Petliura troops left the frontier Volochysk and retreated to Poland. However, the UPR army continued the hopeless struggle with partisan raids in the Right Bank. After numerous protests by Rakovskyi, the Polish government stopped them at the end of 1921. Strengthening of the Soviet System. New Economic Policy in Ukraine. Formation of the Soviet Union. The end of the military events was not the sign for changing policy based on the communist doctrine. On the contrary, the program of restoration and development of industry according to the GOELRO plan was to be realized with the help of a surplus-appropriation system (i.e., forced state tasks for sowing and delivering agriculture products). In the winter of 1920-1921 there was a mass uprising of Ukrainian peasants against the Soviet power which S. Petliura had expected in spring of 1920 when he was in the offensive with the Poles against Kyiv. Possessed peasantry rise against the trade prohibition and surplus-appropriation system. Most efficient units of the Red Army, headed by V. Bliukher, H. Kotovskyi, O. Parkhomenko, were sent to struggle with the peasantsТ detachments. But the army itself also mainly consisted of peasants and became less and less reliable. In the spring of 1921, V. Lenin had to refuse from the surplus-appropriation system and to renew free trade.а New Economic Policy (NEP) replaced the old communist one. The transition to NEP proceeded painfully and under pressure of evident realities of the economic life. The introduction of NEP in Ukraine was halted by famine. As a result of the catastrophic drought of 1921, the famine embraced the Volga region, Northern Caucasus, and the Southern provinces of Ukraine. The harvest of 1921 in most regions of the Left Bank and Right Bank was rather sufficient and its redistribution in favor of Southern provinces could prevent the famine. But Moscow required not to stop the supply of industrial centers of Russia. Lenin was not disturbed by the state in the Volga region nor in Ukraine, but by breaks in Moscow, Petrohrad and other cities. That is why the famine in Ukraine was kept a secret. Food cargoesа of the American Administration of Aid (APA), which were sent to Russia from August 1921, passed by Ukraine. Numerous commissions rendering aid to starving people worked in the country, but food supplies went to the Volga region and to refugees. In 1921-1922 about 439, 000 people from the Volga region, the Urals, and Kazakhstan found refuge in Ukraine. The legalization of private trade and currency reform of 1922-1924 drew the enterprises from underground. New bourgeoisie (tenants, wholesalers, industrialists, commission agents, and brokers) appeared in the country. They quickly saved the country from economic chaos, but the authorities disapproved of them. Lenin emphasized that NEP is a forced and temporary retreat from fulfilling the communist program. The Soviet Union was formed on December 30, 1922. Ukraine changed its status from independent republic to a union republic. The proposition by J. Stalin during the discussion of party leaders on the forms of national-state construction to make independent republics the autonomous ones within the Russian Federation, was denied. Lenin proposed that all the independent soviet republics equal in right create a new state federation. Each union republic within the federation had great rights up to the right of leaving the federation. Lenin's proposition was realized. Even Josef Stalin did not oppose the proposition. And it was not a coincidence since the dictatorship of the party, which turned the USSR into the unitary state, never was reflected in soviet constitutions. Its existence under the shelter of soviet power allowed performing the boldest experiments in the national-state construction and as in making far-reaching concessions to national-liberation movement. A separate political bureau was created inside the Central Committee in 1919. In 1922, Lenin became sick and did not take part in active political life. At this time, the struggle for power began in the Politbureau. During this time, Rakovskyi was removed from Ukraine, and in 1925 Stalin put the party organization of Ukraine under control of L. Kahanovych. In December 1925, three years after the USSR was created, at the 14 th Congress, the state party changed its name and became the All-Union party - VCP(b). In 1927, the 15th Congress of VCP(b) adopted directives of making the first five-year plan of development of the national economy for 1928/1929 to 1932/1933, which included a principal decision for complete use of this method of confiscation of peasants’ incomes. But peasants did not want to sell their products for law prices. The crises in state grain procurements took place in 1927-1929. In the previous years they used the market method for finding a way out of such a situation, by raising prices for bread. In 1928, Josef Stalin separated peasants from the market and deprived them of the means of production and prohibited free trade. In November 1919, the decision to collectivize agriculture was made. In order to prevent resistance to expropriation of peasants’ property, the state opposed the owners and proletarized strata of the village population. Rich peasants (or kurkuli), who strongly resisted collectivization, were expropriated or deported. When peasants refused forced labor, Stalin's response was famine. The results were terrible, and 3.5 million people starved to death in Soviet Ukraine. Total losses, including the decrease in the birth rate, reached close to 5 million. Approximately one million people perished in the Northern Caucasus. Stalin had used the famine of 1932-1933 to get rid of the “Ukrainianization” that had occurred in most regions of the Northern Caucasus and to prevent people from discussing the experience of their transfer to Ukraine. Cultural construction was a constituent of socio-economic transformation in the period between the First and Second World War. The maintenance of the cultural forms of the national movement under the ruthless struggle with its state forms as well as the emphasis on raising the culture, were the main features of policy of the state party in the sphere of culture. The liquidation of illiteracy, introduction of general compulsory education, preference for workers when applying to institutions of higher learning, were among the important trends of cultural construction. Religion composed an important part of the intellectual culture of people. However, the communist party wanted to annihilate the church - the only element of pre-revolutionaryа social structure that still existed - and replace it with an atheistic consciousness. Religious music, literature, philosophy and even church architecture were annihilated. One could not find an Orthodox bishop in Ukraine at the end of the 1930s. In 1935, Stalin decided to announce the victory of socialism and introduced changes to the constitution directed at democratizing the election system - replacing unequal elections with equal ones, and open elections with secret ones. The constitution of the USSR was adopted on December 5, 1936, and at the end of January 1937, the constitution of the Ukrainian SSR was introduced. The outward democratization of power was accompanied by political repression, which began developing after the murder of S. Kirov, on December 1, 1934. Millions of people died or were sent to the concentration camps during mass repression of 1937-1938. Ukraine suffered from the “witch hunt” more than did other regions of the USSR. Ukraine in the late 1930s. First defeats of the Red Army during summer and autumn 1941. Partisan movement in Ukrainian lands. According to the clauses of the Riga peace agreement, Eastern Halychyna and Western Volyn’ were parts of Poland. The Polish government did not give the Ukrainians the rights of autonomy. During the land reform, Polish land owners (mostly former military officers) obtained the best plots of land. About 200 thousand of them were distributed in overpopulated areas of Western Ukraine from 1920-1938. The colonization and assimilation policy of Polish powers called for the resistance of population, ruled by two opposite underground organizations: the Communist party of Western Ukraine and the Ukrainian military organization. Early in 1929, the Organization of Ukrainian nationalists (OUN) was created in Vienna. On September 1, the attack of Poland by Adolf Hitler marked the beginning of the Second World War. Almost simultaneously, Stalin attacked Poland on September 1 from the east and occupied the greatest part of the country's territory: Western Bielorussia and Western Ukraine. In June 1940, Stalin took Bessarabia, and Northern Bukovyna was annexed by Romania in 1940. After the reunification of the Ukrainian SSR and Western Ukraine, the population grew by 8,909 and by the middle of 1941, the population stood at 41,675,000. The republic territory became 560 thousand square miles. The sovietization of the newly-created western regions began. All the political, national economic and cultural infrastructure that was created by Ukrainian intellectuals and businessmen was annihilated. About 10% of the Western population was repressed, and the population sharply felt the lack of freedom with which the totalitarian regime had embraced them with. The Soviet Union suffered great defeat, which cast doubt in the state’s existence and the fate of its people. Hitlerites considered the territory of Eastern Europe, including Ukraine, as the life space (Lebensraum) for German people. Mad racist theories of Fuhrer, which materialized in his general plan «Ost» were soon realized. Terror swayed in the lands occupied by Germans, who completely exterminated Jewish and Gipsy populations, as well as all other people suspected of not being loyal to the Reich. Thousands of people starved to death because the occupying powers didn’t care to supply food to the towns. In 230 camps for war prisoners, 1,366 people died, most of them starved to death. Ostarbeiters, in a number close to 2.4 million, were taken off to work in forced labor camps in Germany. Nearly 320 villages, with people still dwelling in their homes, were burned down. About 6 million Ukrainians served in the armed forces of the anti-Hitlerite coalition of countries. Of them, about 3 million died, and every other person became an invalid. About 7-8 million people, born in Ukraine perished during the war. Partisan movement in Western Ukraine was lead by the OUN. On the eve of the war, OUN split into two parts, which seemed to disagree with each other. They were the OUN(b), headed by S. Bandera, and OUN(m), headed by A. Melnyk. When German troops had occupied Lviv, Bandera and his adherents announced “Act to restoration of the Ukrainian state”. A provisional government was appointed, headed by Y. Stets’ko. When Berlin authorities came to know about the unwarranted actions of the nationalists, the government was driven away and the OUN leaders found themselves in concentration camps. After two tides of arrests and executions (in September and December 1941), the OUN under Bandera went underground. In the autumn of 1942, Bandera's OUN decided to create the Ukrainian Insurrection Army (UIA), called upon to fight with the Polish and Soviet partisan-underground formations. Banderists defended the local population from occupying forces and periodically entered into armed conflicts with them. As a whole, the command maintained its troops in the state of armed neutrality. They were guided by the pragmatic desire to spare their strength for the struggles with the Red Army, since it became apparent that it would return. In October 1944, the entire Ukrainian territory was free from enemy forces. Transcarpathian Ukraine was liberated on October 26-28.а In November, the congress of people’s committee in Mukacheve made a resolution about the Transcarpathian withdrawal from Czechoslovakia and its reunification with Ukraine. The new region expanded Ukraine’s territory to 577 thousand square miles. Material losses of the USSR during the Second World War surpassed 40% of total expenditures of the belligerent powers. The part of the Ukrainian SSR in the All-Union losses surpassed 40% Ukraine suffered greater material losses than Russia, Germany, France or Poland. First postwar five-year plan (1946-1950). Total collectivization of agriculture in Ukrainian western regions. The generation of men of the 60s and their role in the socio-political life. Restoration began immediately after the retreat of the German army. Great care was taken to restore railways and coal-metallurgical complexes. By the end of 1945, about 1/3 of the prewar industrial potential of the republic had been renewed. During the period of the first postwar five-year plan (1946-1959), the Ukrainian industry, as a whole, achieved the prewar level of production. But the isolation from the surrounding world was evident in that Soviet industries lagged considerably behind other leading countries. The success of industry growth was provided for the low part of wages of workers and employees in national income, as well as for the nonequivalent exchange between towns and villages. Renumeration of labor in kolkhoz was extremely low and personal farming property of peasants imposed high taxes and obligatory supply of natural products. Notwithstanding the hard drought of 1946, the taxation imposed by the state was not decreased. The Famine of 1946-1947 took the lives of hundreds of thousands of Ukrainian peasants. Cultural establishments, especially schools and clubs were often constructed by the methods of people’s buildings, because of the lack of centralized assets. But even in those times, Ukrainian artists made great contributions to the national culture treasury. However, their creative work was deformed by the impossibility to step aside the regulate propagandist principles. After the death of Stalin in March 1953, the political climate started to gradually change in the country. M. Krushchov played a key role in the political changes. Concentration camps were closed, and victims of Stalin's repression who survived began returning to Ukraine. The catastrophic situation in agriculture was a concern for the first time. Degradation of productive forces of the village was stopped by the indulgences in taxation policy and pricing. Changes in the political climate were legitimized by the decisions of the 20th congress of the party (February 1956) which from 1952 was called the Communist Party of the Soviet Union (CPSU). Congress resolutions included the substantiated thesis of the lack of fatal inevitability of a third World War. Foreign policy of the Soviet government became more supple and realistic. Krushchov delivered a speech at the closed meeting of the congress where he denounced the outer manifestations of totalitarianism (the personality cult of Stalin) and the most astonishing cases of abusing one's power of which the party itself suffered. At the initiative of Krushchov, attention was drawn to the country's delay in the sphere of newest technologies and levels of their scientific provision, which threatenedа to undermine the defense potential. The space-rocket programs appropriations were essentially increased. The most contemporary enterprises of the rocket, electronic, chemical, ship-building and other branches of industry were constructed in Ukraine for rather short terms the whole number of institutes within the Academy of Sciences of Ukraine and outside its limits were created. The achievements in the sphere of civil engineering, construction of cultural objects, pension provision of citizens, countrymen in particular, were too considerable. The generation of men of the 60s was formed. That is, people with anti-totalitarian thinking. The creative work of Honchar, Rylskyi, Dovzhenko and other artists had great socio-political resonance. Features of the system crisis of soviet totalitarianism. Features of the system crisis of soviet totalitarianism had been distinctly manifested still in the times of M. Khrushchov. Potentialities of an increase of the national income due to extensive factors, shortened while the command economy was unable to provide production intensification. Numerous reforms in the national economy and management system caused sensations but always failed. At last in October 1964, M. Khrushchov was dismissed as a result of his machinery conspiracy. The time of L. Brezhnev began: these were two decade of “stagnation”. Stalinists that came to power chose the tactics of ignoring even those crimes which became public after 1956. In 1965, state security organs made the first turn of arrests of representatives of Ukrainian intelligentsia accused of anti-Soviet activities. These activities manifested in protests against ceasing the process of de-Stalinization, in asserting social and national rights. But the dissidents' movement was not stopped. Policy in the sphere of national relations had not been discussed at the congresses and plenums of the Central Committee of the state party since 1923, because it was decided that the national problem had been already settled. But domestic policy still existed, varying according to circumstances. In 1953, Khrushchov was the first to make O. Kyrychenko, the head of the Communist Party of the republic. In 1954, the Crimean region was added to Ukraine. L. Brezhnev had claimed to be a Ukrainian in prewar forms for career purposed, but he proved to be a persistent Russificator at the post of General Secretary of the CC of the CPSU. He did not leave from the post of the First Secretary of the CC of the Communist party of P. Shelest for a long time, until V. Shcherbytskyi took over the post in May 1972. Shcherbytskyi belonged to the Dnipropetrovsk group of the General Secretary followers. Secretary of the Central Committee on Ideology V. Malanchuk (also chosen by Brezhnev) launched a broad campaign on persecution of scientific and creative intellectuals. The rates of the purposeful Russification became quicker. The extensive orientation of production required to bring into circulation the ever-increasing amounts of material resources and labor force. The “stagnation” was characterized in Ukraine by development of mining branches, by wasting natural resources, turning a lot of localities into the zones of ecological danger. Ukraine was polluted by waste of a mineral-raw-material complex ten times more extensively than the USSR as a whole. After the explosion of the fourth power unit of Chernobyl NPP in April 1986, ecological conditions in the republic grew worse. The reason for the greatest catastrophe in the history of mankind, was due to the low quality of design, construction and maintenance of nuclear plants. With the development of the system crisis, the state actively used the principle of “price scissors” when the lion’s share of the income of collective and state farms come to the state budget. The agriculture more and more lagged behind while the flow of those who left villages still increased. In 1960, the peasants composed a half of the population of Ukraine, while in 1985 only a third. It proved impossible to feed the two-thirds of town-dwellers under the labor productivity of those times. So the food supply problem got worse year after year. Thousands of billions of “petrol dollars” earned during the world petroleum crisis of the 1970s were used for importing the cheapest commodities for further reselling at the home market. When “petrol-dollars” had been exhausted, they revealed the budget deficit (which was assiduously disguised). The military-industrial complex exhausted the national economy. A necessity to keep to parity in arms with the western countries brought the Soviet Union to the economic abyss. It was evident that the USSR had lost the “cold war”. The constitutional process in Ukraine. Reforms initiated by Mykhailo Gorbachev in spring 1985 were first controlled by the state party. But with the expansion of publicity (“glasnost”) there remained even less people who could find any harmony in relations between the State and society. Communist ideology lost its authority, the society was quickly politicized. These processes immediately acquired political coloration in Ukraine. There began the actions of protest against closing the schools with education in Ukrainian, against forcing out the national language from the sphere of state management, book-publishing, mass media.а In November 1988, the first mass meeting took place in Kyiv which was devoted to the problems of ecology, where V. Shcherbytskyi and other leaders were blamed for concealing information about the after-effects of the Chernobyl catastrophe. In 1989, the political strikes burst out in Donbas, and the People's Movement of Ukraine appeared in Kyiv In the spring of 1989, the first free elections (after 1917) were held in the USSR, which lead to the appearance of a new center of power in a form of the two-level representative system: the Congress of PeopleТs Deputies of the USSR and permanently acting the Supreme Council of the USSR formed at the Congress. Under this new situation, V. Shcherbytskyi was not in power for a very long period of time. The party dictatorship and the entire totalitarian system fell to pieces before long. In March 1990, elections were held for the Supreme Council of the Ukrainian SSR and local councils. A lot of new political figures, the adherents of reforms, appeared on the scene in political life. On July 16, 1990 the Parliament adopted the Declaration of State Sovereignty of Ukraine. To save the Soviet Union, Gorbachev started negotiations with the leaders of the republics about the conditions of a union agreement, that could not be coordinated with the principles of state sovereignty (Novoogariovian process) declared by Republican Parliaments. On the evening of August 19, 1991, the conservatives of the central party-state management made an attempt of the state upheaval, striving to turn the country life to the state before 1985. The putsch (the leaders of the Central Committee of the Communist Party of Ukraine who also participated) was a failure. On August 24, the extraordinary session of the Supreme Council of the Ukrainian SSR approved “The Bill of Independence Announcement of Ukraine”. In the last days of August 1991, they adopted the edict about temporal cessation and then the prohibition of activities of the Communist Party of Ukraine. On December 1, 1991, the referendum on confirmation of “The Bill of Independence Announcement of Ukraine” took place. There was a positive response from 90.3% of the population who took part in the referendum. The elections of the first President of Ukraine were also held. Leonid Kravchuk became the first President of Ukraine. The referendum in Ukraine created a qualitatively new situation with regard to the problem of existence of the USSR.а A week after this event, Borys Yeltsin, President of RSFSR, Leonid Kravchuk, and S. Shushkevych, Head of the Supreme Council of Bielorus, announced at the meeting in Minsk that the USSR no longer existed as a subject of international law and geopolitical reality. Ukraine became an independent sovereign state. The response of the world community to the results of the national referendum was unexpectedlyа unanimous: for December 1991, the independence of Ukraine was recognized by 68 states, and in 1992 it was recognized by 64 states. Yeltsin’s government was one of the first states to recognize Ukraine hoped that Moscow would remain the ruling center in the entire territory of the USSR and, using the mechanism of the Commonwealth of the former union of republics’, would not turn into a military-political unit or into a new variant of the USSR. Ukraine abstained from signing the agreement which endowed the Commonwealth institutions with super-state functions. After the disintegration of the USSR, Ukraine inherited the third largest nuclear potential in the world. In December 1991, the Supreme Rada resolved the law “On Military Powers of Ukraine”, and in November 1993, adopted the military doctrine in which it was announced that Ukraine did not see its enemies in the neighboring countries and the army of Ukraine is only a guarantee of its national security. For the first five years, the military forces of Ukraine were reduced from 726,000 to 350,000. Beginning with the Declaration on State Sovereignty, Ukraine always emphasized the desire to become a non-nuclear state.а In November 1994, the Supreme Rada approved the decision on Ukraine joining the Agreement on non-expansion of nuclear weapons on the condition of guaranteeing safety on the part of nuclear states. Such guarantees were given and in the summer of 1996, the last 1280 nuclear warheads were removed from Ukraine. The constitutional process, which began in July 1990 by adopting the Declaration on State Sovereignty of Ukraine, became the most important element in the creation of the state. This document ratified the principles of sovereignty, democracy, inviolability of the territory of Ukraine, power division into legislative, executive and court branches, equality of citizens and state guarantee of their rights and liberties. The Constitution of Ukraine was adopted on June 28, 1996 after a long-term political struggle. The Constitution created a strong legislative foundation for the regulation of public relations, development of sovereignty and a democratic state. The democratic system went through its first serious trial in June 1994 when, as a result of free elections, the power was given up to Leonid Kuchma, the new President of Ukraine. The strengthening of Ukraine as a sovereign state is complicated by the difficulties of the transition period, which are especially felt in the sphere of the economy. The economic crisis, which was inherited from Soviet times, became worse in following years. The disagreements and discussions concerning the future of Ukraine continues. Different ideas as to the desirable rates, orientations and even the expediency of the market reforms still exist among the political elite and in the society. However, this struggle is carried out by political methods and in the constitutional field. When deciding its economic and political problems, Ukraine has had the support of the world community. Ukraine meets the end of the 20th century as an independent state.